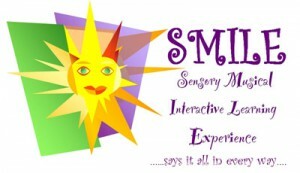 SMILE sessions provide a space for interaction and communication in a fun way, using smell, touch, taste, sound and sight. It is primarily for adults with complex needs, learning difficulty and autism using a total communication approach but the model can easily be adapted and is also used with children. SMILE has been running since 2002, originating at Redlands, North Cherwell Day Service. It was set up by Celia Chasey whilst employed by OCC. She now runs SMILE independently providing a package which includes training staff to run sessions in their own venue, in day centres and residential homes. She also runs sessions for children as part of a holiday scheme or she can tailor sessions to suit individual needs. SMILE sessions can be visited at Redlands Daytime Support, Banbury - please contact Jayne England, Day Service Worker on 01295 263594.